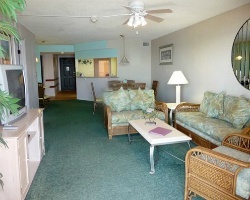 *Las Olas Beach Club of Cocoa Beach* is a family managed beachfront resort on Cocoa Beach. This quiet retreat is an ideal location to spend a family vacation. Each spacious room is equipped with a full kitchen, balcony, and Roman soak jetted spa. Enjoy the sandy beach just outside the doorstep, or relax in the swimming pool or barbecue area. Local hot dining spots and shops are easily accessible from the resort, and Cape Kennedy is only 15 minutes away. For sun and fun, visit Las Olas Beach Club. 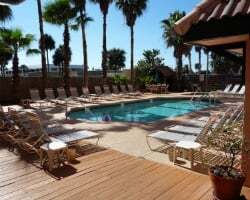 For more information about this resort, visit www.beachclubs.com. Great location with the beach just steps away! Buyer May Receive A Title Fee Credit, Inquire For Details! 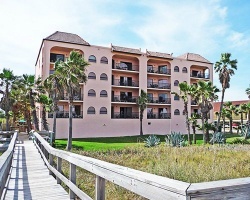 Beautiful beachfront resort on Cocoa Beach! Come relax and enjoy the quiet and tranquil atmosphere! Inquire for details! Relax in complete luxury at this lovely beach resort. Stay every year in week 45! Buyer may receive a title fee credit, inquire for details! !